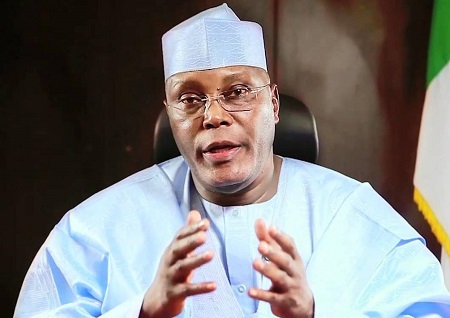 New details have emerged analyzing why the Nigerian government has taken decisions that may impact significantly on the finances of Atiku Abubakar. For the second time this year, the Nigerian government has taken decisions that may have significant impact on the finances of former Vice President Atiku Abubakar. In April, President Muhammadu Buhari approved the recommendations of the Attorney-General of the Federation, Abubakar Malami, breaking the near-monopoly of Mr. Atiku’s company, Integrated Logistics Services Nigerian Limited (Intels), in the handling of oil and gas cargoes in the country. Mr. Atiku, a former presidential aspirant of the ruling All Progressives Congress (APC), co-founded Intels with Gabriel Volpi in the 1980s. Atiku contested for the APC presidential ticket in 2014 and was seen as the biggest obstacle in stopping Mr. Buhari from clinching the party’s ticket. He, however, came a disappointing third with 954 votes behind Mr. Buhari (3430 votes), and the immediate past governor of Kano State Rabiu Kwankwanso (974 votes). In 2015, the billionaire politician described Intels as his most successful business. Intels is Nigeria’s biggest oil and gas logistics company. It is the operator of the Onne, Warri, Calabar and Lagos (Eko) port complexes. Its parent company, Oreant Invest, also owns luxury residential estates across the country, including Eko Energy Estate domiciled inside the Eko Atlantic City. As the concessionaire of the Onne Free Trade Zone, Intels is exempted from the payment of all taxes, levies and rates. Since 2015, the Onne Ports has a near absolute control of oil and gas shipment into the country, a policy that other logistics companies such as Ladol and Julius Berger, were unhappy about. In April 2015, immediate past president, Goodluck Jonathan, gave a directive that gave Intels the exclusive control over all oil and gas cargoes at his terminals in Onne, Warri and Calabar. Ladol, which felt the directive was against the concession agreement it entered with the government and therefore inimical to its interest, responded with a lawsuit against the government. The government’s decision to break Intels’ monopoly in the handling of oil and gas shipment comes few weeks after a disagreement between the logistics company and the Nigerian Ports Authority (NPA) over the funding of a major project the company is handling on behalf of the agency. PREMIUM TIMES had exclusively reported that the NPA introduced a new sharing arrangement for revenues collected by Intels on the project. The agency also directed Intels to sweep all revenues collected through commercial banks into the relevant account in the Central Bank of Nigeria in compliance with the government’s Treasury Single Account (TSA) policy. While Intels accepted the new sharing ratio, it kicked against the direct transfer of revenue collected into the TSA, arguing that it would damage its loan repayment plan with some banks. “We still have an issue with the making of payments to a financial institution with complete sweep of funds to the TSA account,” the company said in a letter signed by its chief executive, Andrew Dawes, to the managing director of the NPA, Hadiza Bala-Usman. “As you will understand, this (total compliance with TSA) will be unacceptable to the banks. The result of this will be a run of our financing. We are sure this is not a result NPA desires,” the company added. But the NPA replied that Intels must comply with the TSA policy and the new revenue sharing arrangement or forfeit the contract. In May 2016, the Minister of Transportation, Rotimi Amaechi, wrote President Buhari about various issues affecting the concession of Nigerian ports to private businesses. In July, the presidency forwarded the letter to the Attorney general of the federation (AGF), Mr. Malami, for his legal opinion on the various bottlenecks and a review of some of the policies that were adopted since 2000. In April 2017, President Buhari approved the recommendations of the AGF which included the reversal of the exclusive handling of oil and gas cargoes at Intels controlled ports. PREMIUM TIMES has obtained the final report and legal opinion of the AGF in respect of the terminals in Nigerian ports, which traces the controversies in the concession agreements and directives by successive administrations since 2000 and recommended the way forward. The report indicated that 26 ports in the country were conceded to private businesses in 2006 during the Olusegun Obasanjo administration. But a series of conflicting directives by former Presidents Umaru Yar’Adua and Jonathan on how the concessions were to be implemented, resulted in controversies among the concessionaires. The journey to hand over the management of the ports to the private sector began in 2000 when the administration of Mr. Obasanjo named a committee to carry out port reforms. It was the committee that recommended the 26 terminals be given out. The committee had argued that transferring the running of the terminals to private businesses will increase efficiency in ports operations; reduce the cost of port services and free government from the cost of managing port operations and increase the revenue accruable to government. The 2006 concession grouped the ports into three major categories namely: Containerized or Container cargo, Bulk cargo and Multi-purpose or general cargo. After the concession agreement was signed, the Bureau of Public Enterprises (BPE) published the categorisation and added a fourth category “Oil and Gas”, which was not in the original agreement. Subsequently, the Onne, Warri and Calabar ports were asked to receive oil and gas related cargoes. In 2008, Mr. Yar’Adua’s administration reviewed the agreement and issued a circular to the effect that irrespective for the designation of Onne, Warri and Calabar ports as oil and gas terminals, importers could approach any port of their preference for business. The directive came after a move by the Minister of Transportation at the time, Diezani Alison-Madueke, asked the BPE to re-categorise the ports so that Intels could be given exclusive right to handle oil and gas cargoes. Mrs. Alison-Madueke’s circular also appointed Intels as managing agent in Lagos Pilotage District. But in a letter to his chief economic adviser, the minister of transportation and the managing director of the NPA, Mr. Yar’Adua reversed the re-categorisation because of its “potential damage the said circular was capable of wreaking on the Nigerian economy”, the report claimed. “The circular issued by the minister reversing the approval of the former President in 2006 (to the effect that oil and gas importers are free to choose ports of their preference for the cargoes) be withdrawn immediately and the approval of the former President stands and cannot be reversed without referring to the President. “The appointment of Intels as Managing Agents at the Lagos pilotage district is hereby revoked. Another competent agent should be appointed to allow for competition. These decisions take effect immediately,” the letter by Mr. Yar’Adua read. But In 2014, another directive by Mr. Yar’Adua successor, Mr. Jonathan, designated Onne, Warri and Calabar Ports as exclusive oil and gas terminals created confusion in the industry. The new directive was given on January 18, 2014 but a month later, Mr. Jonathan surprisingly suspended the policy he had approved. He however did not state which policy will now govern the handling of oil and gas cargoes. On April 20, 2015, following a recommendation by Ministry of Transport, Mr. Jonathan gave another directive stating that “all oil and gas related cargoes must be handled only at the designated terminals as in the letter from the BPE”. This gave birth to the agitations by concessionaires and ultimately triggered the decision of Ladol to sue the government to protect its interest. But Mr. Malami stated that the BPE letter referred to by Mr. Jonathan was on written on July 10, 2008 to Mrs. Alison-Madueke. He said the letter was designed to deliberately misinform Mr. Jonathan. “The fact are that former President Yar’Adua had vide his directives on 4th August, 2008 overridden any such position by directing that the earlier approval by the President Obasanjo (which gave the oil and gas operators the liberty to choose terminals) should be restored. Therefore, as at 2015, when president Jonathan gave the purported approval, the policy position was as affirmed by President Yar’Aduain 2008 and not the erroneous position conveyed in the memorandum by the former Minister of Transport,” Mr Malami wrote. The AGF office also argued that an independent verification it undertook also confirmed that in the global shipping industry, the three broad categorisations of ports and terminals are Bulk Cargo, Container Cargo and multi-purpose Cargo. It added that oil and gas is generally not classified as a category in itself. It added that this will promote competition, value for money and even spread of port infrastructure along the country’s coastal belt. “Mr President for the avoidance of doubt, should reaffirm the presidential directive of president Obasanjo and Yar’Adua which, in my opinion are subsisting, to the effect that all importers are at liberty to choose any terminal/ port for the discharge of their cargoes, subject to the presence of all the requisite regulatory agencies at such ports as requires by extant regulations,” Mr Malami wrote. Following the approval of the recommendations by Mr. Buhari, Ladol withdrew its suit against the federal government from the Federal High Court, Lagos. However, Intels has approached a Federal High Court in Abuja to challenge the review of the policy. It argued that the 2015 directive was done “in appreciation of the importance of oil industry to the national economy and proximity of oil wells” to the ports. While the Federal Government may have finally broken Intels near-monopoly, PREMIUM TIMES has obtained documents that show how Intels used National Petroleum Investment Management Services (NAPIMS), a subsidiary of the Nigerian National Petroleum Corporation, to impose steep rates for its services during the period it held sway over oil and gas cargoes. The documents, including an Intels-commissioned report, letters and internal memos, did not only show that Intels was using NAPIMs as a battering ram to force oil companies to pay exorbitant rates, they revealed ploys by the oil servicing firm to scheme out competitors offering fairer rates. Intels, with the approval of NAPIMS, capitalised on its status as the sole operator of logistics services to the oil and gas industry at the Onne free Trade Zone, to impose arbitrary increase of tariff on local and international oil companies. At the expiration of the Industry Wide Standard Tariff (IWST) for different schedules of cargoes handed at its facilities on December 31, 2011, Intels requested an upward review of the IWST effective from January 1, 2012 to 2016. According to Intels, the review was necessary because of infrastructure expansion made at its ports in Onne, Calabar, and Warri. It also argued that the review was necessary as a result of inflation, hike in commodities and the services and salaries, fuel cost, security and haulage increase. Intels, in collaboration with NAPIMS, then decided to increase the IWST by 40 percent the rate charged in 2012 for Schedule A (Camp facilities including houses and offices) and Schedule B Port Facilities such as staking areas, warehouses, and offices). For schedules C (Cargo handling), schedule D (Agency for crew, support, tug and survey vessel), and schedule E (Dedicated equipment and personnel), the rate was increased by 30 percent. The resolution also put forward a 30 per cent year-on-year increment on all the schedules up to 2016. Not satisfied with the increment some parties described as outrageous, NAPIMs further resolved that from 2016, the IWST for all schedules shall be suggested to a 25 percent year on year increment subject to inflation. But as the prices of crude in the international market began to drop, oil companies started kicking against Intels’ exorbitant rates. “Following the continued decline in global oil prices which has adversely affected revenues, NAPIMS on March 18, 2015 and June 30, 2015 convened meetings respectively with IOCs to discuss the negotiations and agreements reached on September 30, 2011,” a letter signed by the group general manager of NAPIMS, Dafe S. Sejebor, stated. Mr. Sejebor then imposed a new price regime suggested by Intels, which he described as “cost reduction” on oil companies. According to the new price regime, while schedule A and B are expected to retain the approved rate for 2015 and 2016, schedule C, D and E were increased by five percent using the 2014 approved rate for 2016. In the letter, NAPIMs also imposed a blanket five per cent increase in the IWST from 2017 -2021. When contacted, spokesperson of the NNPC, Ndu Ughamadu, asked for questions to be emailed to him. He promised to further same to NAPIMS for response. The responses were not sent days after despite being reminded of his promise. Worried by a significant reduction in the volume of oil and gas cargoes handled at the Onne, compared to the Port Harcourt Hard Quay and other Lagos Terminals (not Eko), Intels undertook an investigation to find out why it was losing business to newcomers and smaller competitors. A report of the 2012 investigation showed that oil and gas companies were increasingly taking business away from Intels because its rates were more expensive than those charged by Lagos-based logistics firms. The report also discovered that that oil and gas companies preferred to take their cargoes to Lagos instead of its Warri/Onne ports because it was more convenient to do so. The report also claimed that the failure to implement the concession regulation that stipulated Onne and Warri ports as oil and gas cargo ports as opposed to the Tin Can port in Lagos which was not stipulated as an oil and gas port. But rather than review its rates and makes its Eko Terminal more business friendly, the report suggested the complete liquidation of its competitors, which it referred to “potential threats,” and the transfer of all oil and gas cargoes to Intels operated Onne and Warri terminals. “The aim is to reserve the present tendency and to ensure that Lagos present oil and gas cargoes are handled by the respective authorized concessionaires at Onne, Warri and Eko, and no longer by any of Lagos based non-oil and gas concessionaires,” the report suggested. Its monopolistic plan was not only targeted at cargoes at Lagos terminals, it sought to “capture” oil and gas cargoes at the Port Harcourt Hard Quay terminal. “Intels to reverse the present tendency by ensuring that all oil and gas cargoes actually discharged at PH hard quay, MOF jetty are from now ‘captured’ by Intels at Onne OGFZ,” the report stated. Intels spokesperson, Bolaji Akinola, did not answer several calls made to his mobile number. He did not also response to questions sent via sms to him. The NNPC spokesperson, Mr. Ughamadu, later told PREMIUM TIMES the corporation was working on responding to my question. The answers did not come after days.